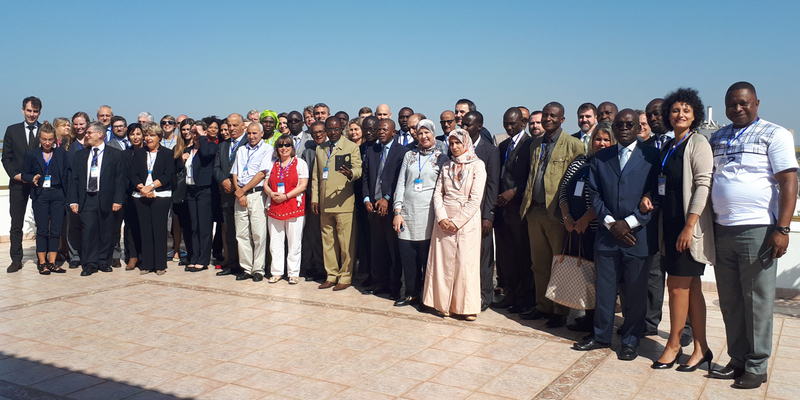 The mitigation of biological risks in West Africa, in the wake of the Ebola crisis (2014-2016), has been the focus of the two-day Regional Conference in Morocco (Rabat, 25-26 October), co-chaired by the Italian G7 Presidency of the Global Partnership against the Spread of Weapons and Materials of Mass Destruction and the European Union Chemical, Biological, Radiological, Nuclear Centers of Excellence (EU CBRN CoE) Initiative in collaboration with the United Nations Interregional Crime and Justice Research Institute (UNICRI). The Global Partnership is a G7 multilateral initiative launched in 2002 at the Kananaskis Summit in Canada as a tool to consolidate peace and international stability and to strengthen citizens’ security. The Regional Conference was attended by over 60 participants coming from eleven countries from the African continent - Cameroon, Côte d’Ivoire, Democratic Republic of the Congo, Gabon, Ghana, Liberia, Mauritania, Morocco, Sierra Leone, Senegal and Togo - and members of the Global Partnership - European Union, France, Germany, Italy, the Netherlands, Sweden, Canada and United States of America – as well as experts from international organizations engaged in biosecurity - World Health Organization, INTERPOL and the Implementation Support Unit of the Biological Weapons Convention. The Conference undertook a comparative review of biological needs assessments and national action plans, which have been prepared in the context of the EU CBRN CoE Initiative, the Joint External Evaluation (JEE) under the WHO International Health Regulations, the UN Security Council Resolution 1540 (2004) and the Biological Weapons Convention. Participants agreed on a set of coherent and comprehensive priorities to strengthen countries’ preparedness against possible future epidemic outbreaks, which will be presented at the next Global Partnership meeting, to be held in Rome on 15-17 November 2017. The set of priorities will contribute to the creation of positive synergies between the policy orientations of Global Partnership members and the needs of African countries.